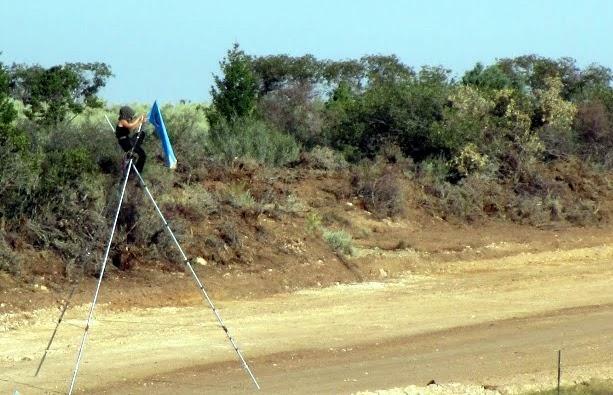 A person atop a tripod stops vehicle traffic in an attempt to disrupt work at the US Oil Sands tar sands mine site. Four protestors have been arrested after disrupting construction of a tar sands mine in the Book Cliffs of Utah Monday. Environmental activists say they’re hoping that the recent spill of wastewater from a Colorado mine will bring attention to the threats posed by mining. 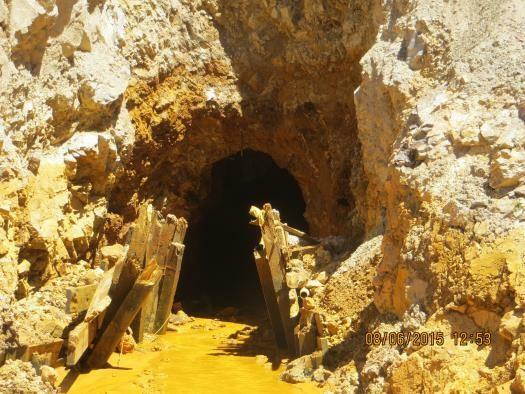 Jesse Fruhwirth with the activist group Peaceful Uprising says there is a lesson to be learned from the abandoned Gold King Mine that last week spewed 3 million gallons of wastewater laden with heavy metals into waterways from Colorado to New Mexico to Utah. “There’s thousands of similarly dangerous mines ready to burst just like this one, and companies like US Oil Sands in the state of Utah propose beginning a whole new era of generating new disasters in the same water system,” Fruwirth says. Protestors of the tar sands strip mine being built in Uintah and Grand counties say they stopped construction work for several hours by dangling two people from 25 feet tripods, until police officers managed to get them down and arrest them, along with two others assisting them. Raphael Cordray with Utah Tar Sands Resistance says she’s been camping and holding vigil at the mine since May. She hopes these actions will help people understand what’s at stake. The Utah Division of Oil Gas and Mining recently approved an expansion of the US Oil Sands strip mine operation, but also required the company to monitor for potential water contamination. That came after a University of Utah study found US Oil Sands mining plans could pose a risk to nearby waterways. About three* million gallons of wastewater laden with heavy metals is making its way towards the San Juan River in southeast Utah. The wastewater was accidentally released by the US Environmental Protection Agency from an abandoned Colorado mine. Utah officials don’t know exactly when it will arrive or what damage it may cause, but they’re warning people to take precautions.